Lauren Goode/ATD Hugo Barra shows me Xiaomi. Barra’s last day at Google as head of product management at its key Android mobile unit was in September, but he’s already enthusiastically trying to get the rest of the world to know a lot more about the upstart phone maker that has been called the “Apple of China,” but that has hopes to be more compared to Google or Amazon in the future. It is now Barra’s job to help make that happen, armed with a pile of Xiaomi phones he whips out to demo at a moment’s notice. His departure was a big moment for both the tech giant and Barra, who has been there since 2008, as well as for Xiaomi. Barra is its first major non-Chinese hire, as it seeks to expand beyond its root in a bid to become a globally recognized player. Hiring Barra — who had become one of the more public faces of Android — was its most high-profile step so far. He was the exec that Google chose to show off the recent Nexus 7, and has been a key lieutenant to both former Android chief Andy Rubin and the recently named head, Sundar Pichai. Now he is poised to take over all of global expansion for Xiaomi, which currently only builds Android phones for the Chinese market, using an innovative strategy of making high-spec smartphones at low-spec smartphone prices. Unfortunately for Barra, the news came out at the same time a personal controversy at Google became public. A Googler he had recently ended a relationship with is now seeing the company’s co-founder, Sergey Brin, who has split with his wife. While Barra declined to talk about that thorny situation and its unfortunate timing, he did give more details on his Google exit, which he underscored had been long planned, with talks with Xiaomi that were ongoing for more than a year. In fact, the seeds of it began much further back, almost from when Barra came to Google after spending more than four years at voice leader Nuance. When he was hired to work on Google’s mobile effort, then run by Vic Gundotra, Barra worked in its Europe office, part of a worldwide effort. It was there that he met Xiaomi president Bin Lin, who then ran engineering for Google’s mobile unit in China. It was the start of a working relationship that then was developed over years. 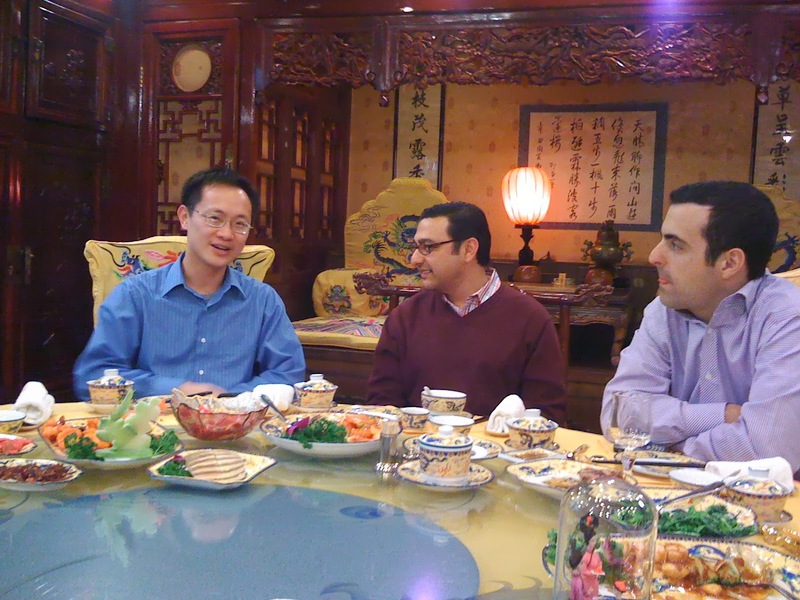 Then Googlers — Bin Lin, Vic Gundotra and Barra in China several years ago. At the end of 2010, Barra moved to the Android team at Google’s Mountain View, Calif., HQ, working for Rubin. And by then Lin had left Google and started Xiaomi with some key Google engineers and product managers. He was even more interested when Android design head Matias Duarte told him he thought Xiaomi had done one of the best jobs of anyone extending the Android platform. Also key was a close friend and well-known investor in China, Robin Chan. 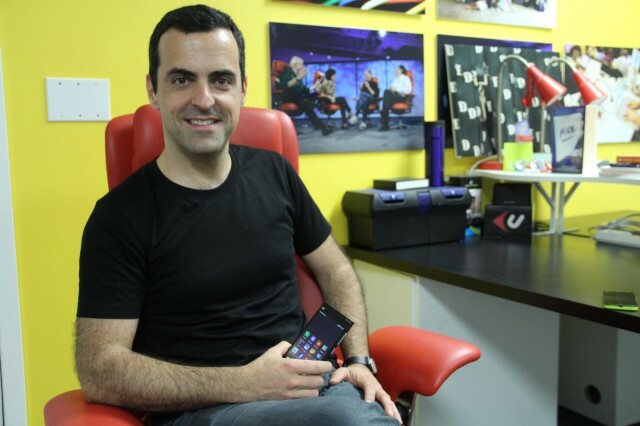 He was an early Xiaomi investor, too, and ended up being the person who helped start the conversation between the company and Barra to consider going there. Talks started in the summer of 2012, just as Xiaomi was getting traction with a major release of its second phone, the Mi2s. “At first, their questions were, ‘How do you think we should go about expanding internationally?’ And that evolved into, ‘Maybe you should come help us,'” recalled Barra. What was most compelling to Barra was that Lin wanted a product person to lead Xiaomi’s global expansion. “I am not the business guy, but he wanted someone with deep user insight to lead that effort,” said Barra. The informal talks went on for about six months, and heated up early this year. While Barra claims he was happy at Google, the opportunity in China seemed more ripe with possibility. Perhaps even more important for Google, though, was to make sure that there were strong Android players in the Chinese market, especially after setbacks at HTC and a more Wild West situation for the mobile operating system there. Having an insider like Barra at the up-and-coming Xiaomi, in fact, might not be such a bad thing. In any case, by then Barra was nearly out the door, waiting until Nexus 7 had landed and Android’s latest version, Kit Kat, was out the door, too. That business is a hard-charging and highly competitive one, born from a group of eight founders, all of whom are still in key positions at the company. That includes Lin and, of course, its high-profile CEO and star Chinese entrepreneur Lei Jun. Barra said that Jun’s focus on three parts of the mobile ecosystem — hardware, software and services, which he has dubbed a “triathlon” — at the same time has been a key part of Xiaomi’s success. 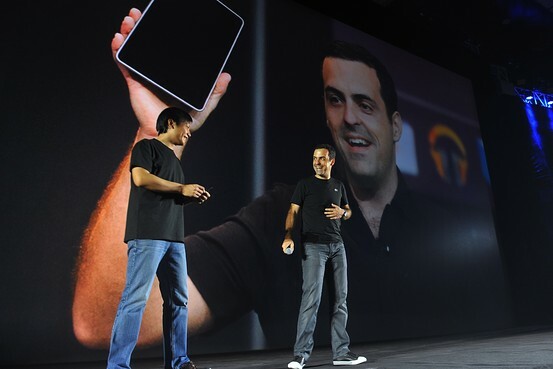 Wang Zhao/AFP/Getty Barra and Xiaomi CEO Lei Jun onstage in Beijing at launch of Mi3 and Xiaomi TV last week. So far, that has worked very well, with Xiaomi selling seven million devices last year; it is expected to sell 20 million this year, and is profitable on about $4 billion in projected 2013 revenue. It is now valued at $10 billion. That kind of increase, of course, means there’s a need to develop strong relationships with suppliers to get parts, while also offering consumers a differential. That’s done at Xiaomi in a number of ways, said Barra, from offering users a way to design their phones anyway they like via themes, to sending designers and engineers around the country to watch how the phones are used by customers, to listening more carefully to their feedback. The goal, said Barra, is to wow them with a quality product at low prices, and then get them to use Xiaomi as an even more robust operating system for their digital life. “There is no question the phone business is very low margin today, but they want to get to a place where they can sell the device at cost and then sell high-margin services to make that phone experience even better,” said Barra. That’s easier said than done, especially as Xiaomi moves into more markets. While he would not get into specifics about what products he hopes to first move abroad, that’s why Barra said he would be focused on more rapidly developing ones first. 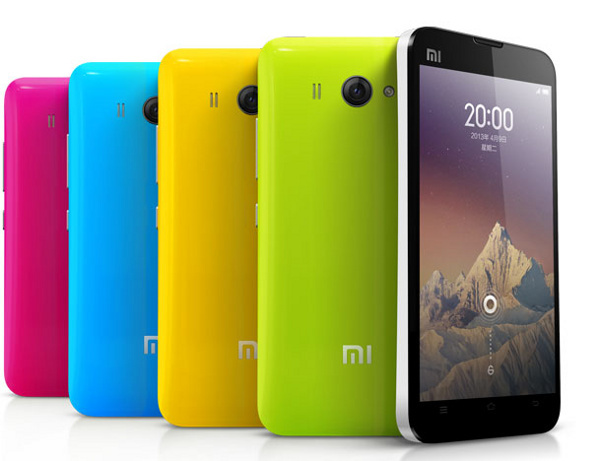 Still, Barra knows that Xiaomi has to also rate in the “trend-setting countries,” like the U.S. and Europe. In other words, it is a big world out there to conquer, one Barra is keen to take on. But, first things first. Barra starts in October, though he appeared onstage with Jun at the launch of its Mi3 and Xiaomi TV last week in Beijing.